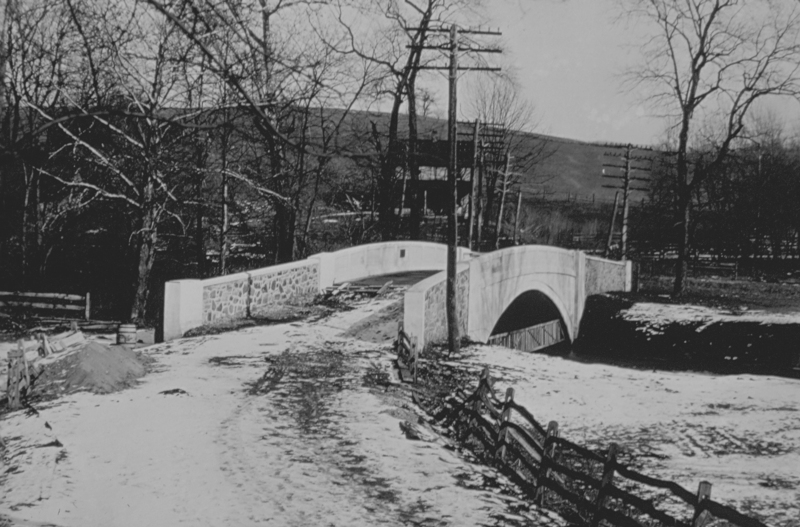 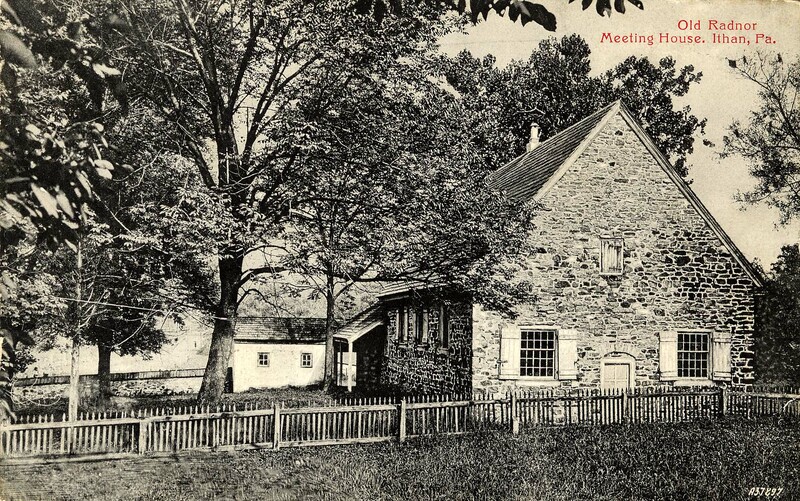 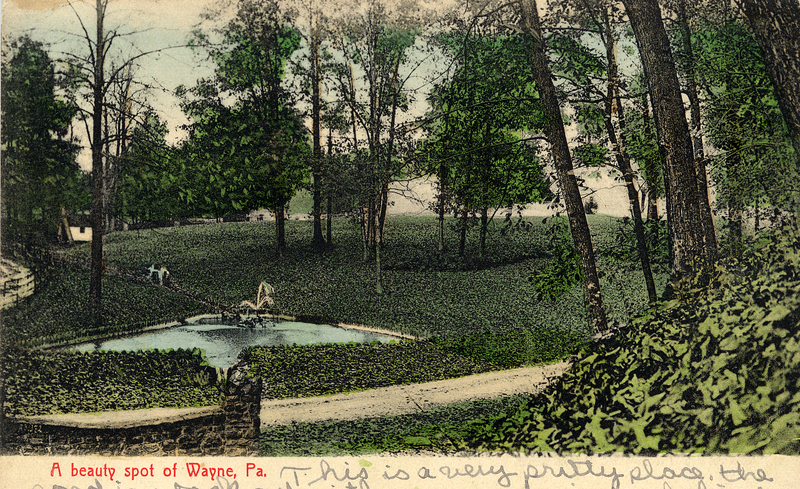 Settled in 1681, incorporated as a Township in 1684. 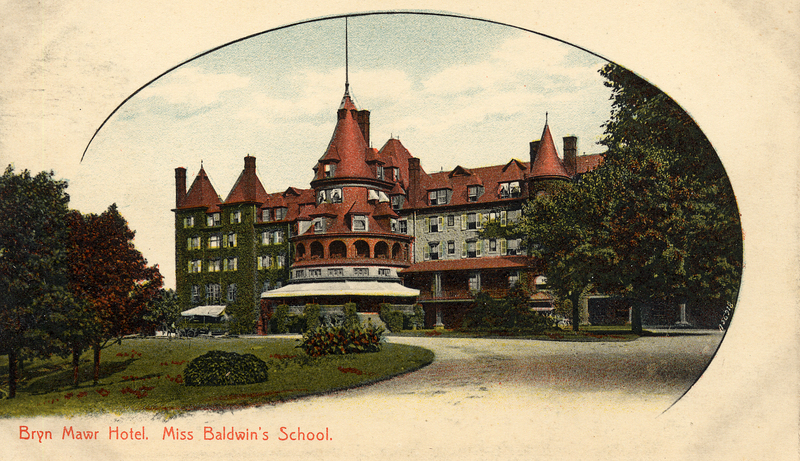 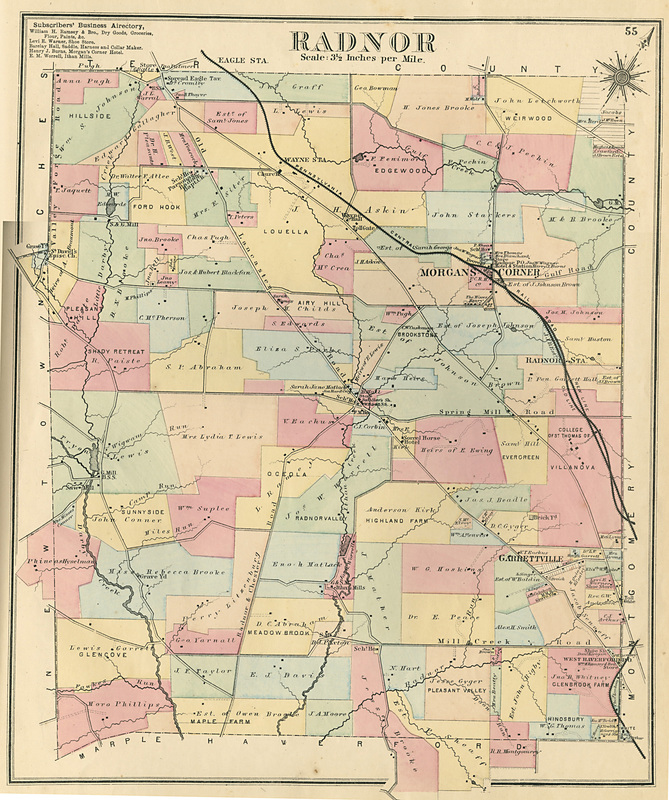 Became a first class Township in 1901. 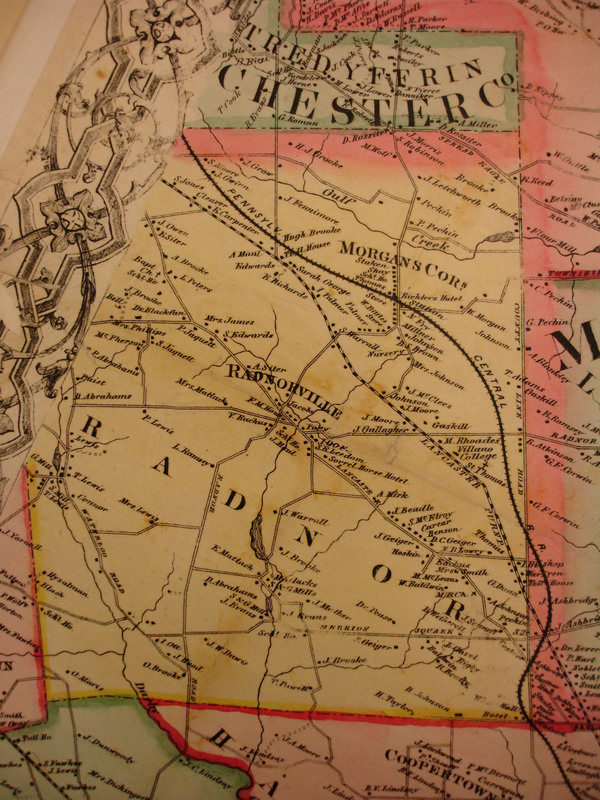 Early settlers where from Radnorshire in Wales, which is where the name Radnor is from. 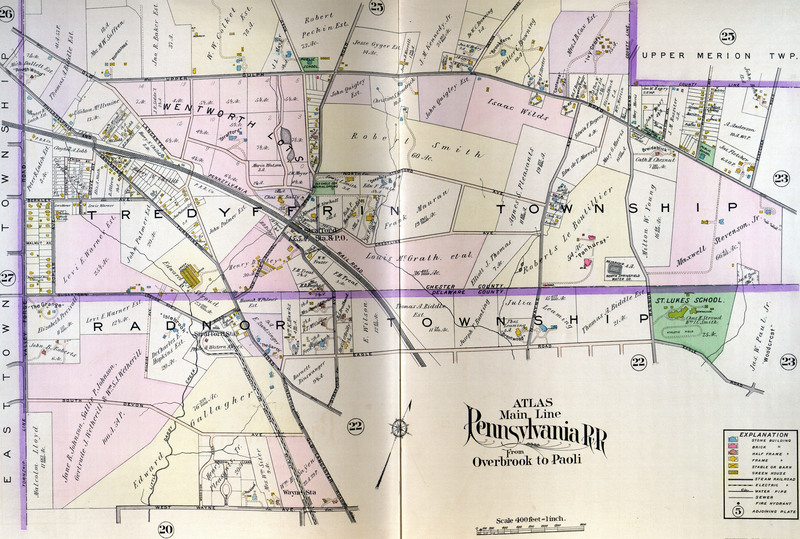 1881 Penna R.R. 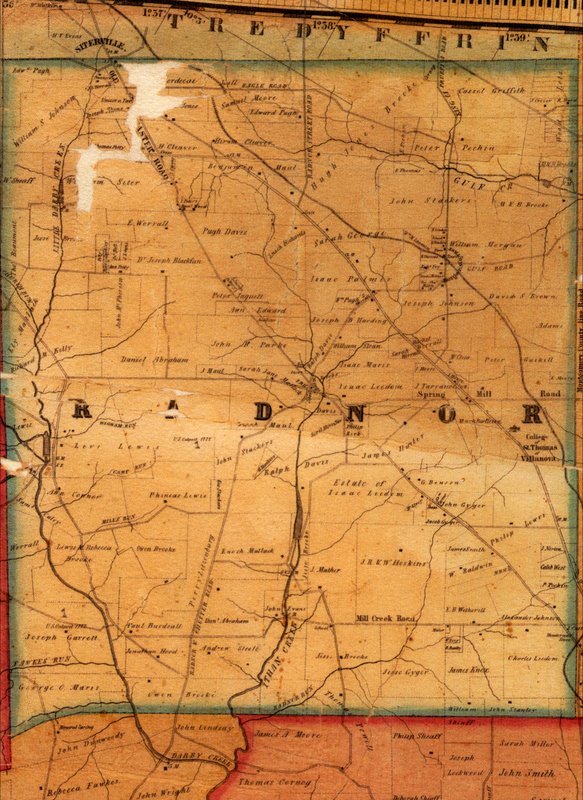 Atlas Radnor Twp. 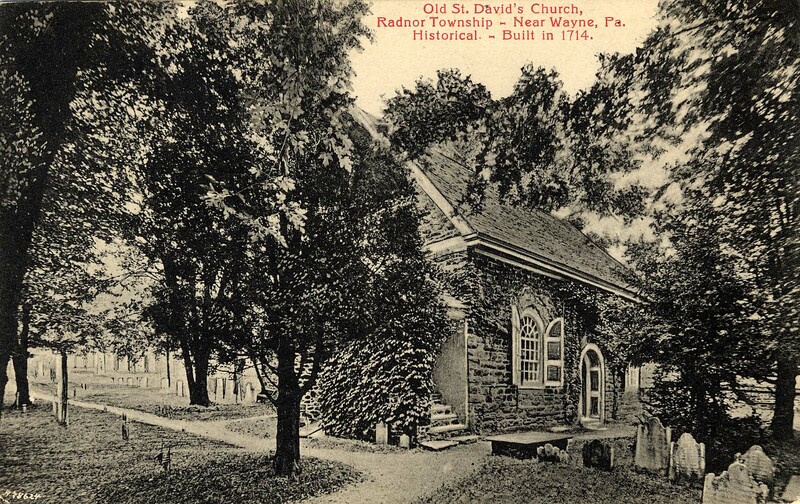 1881 Penna. 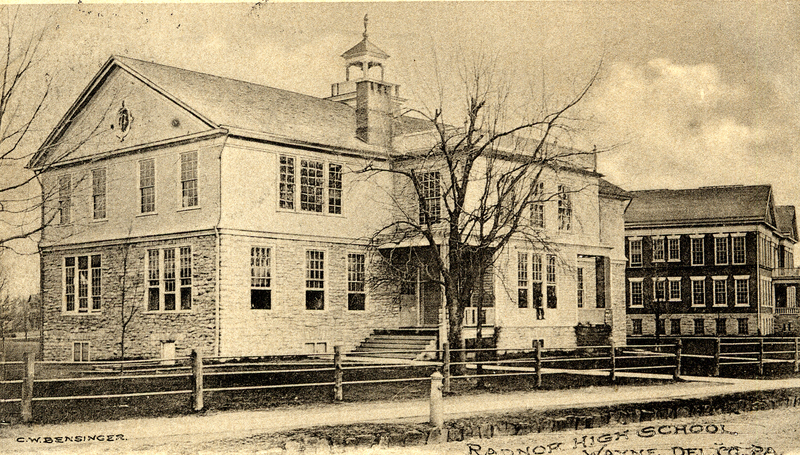 R.R. 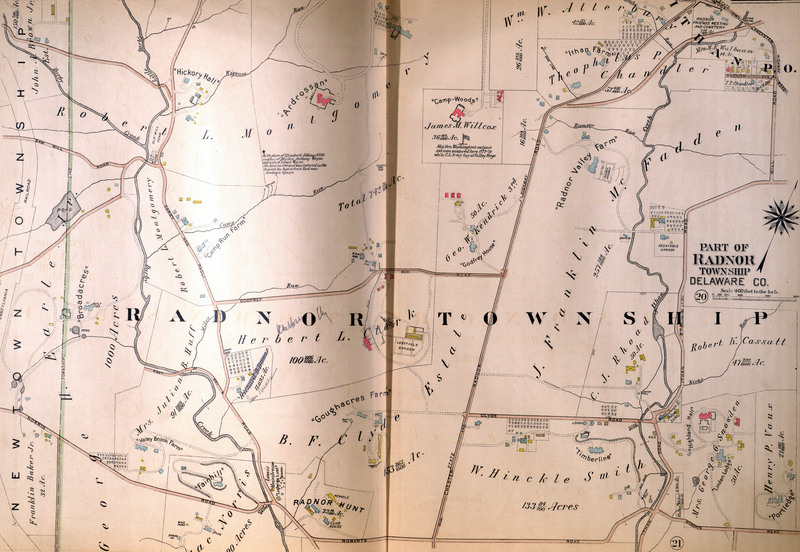 Atlas Radnor Twp. 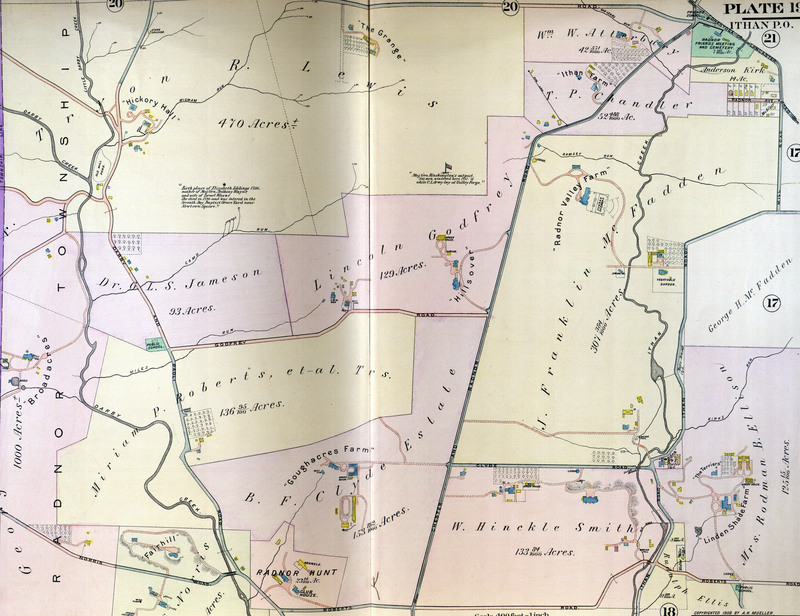 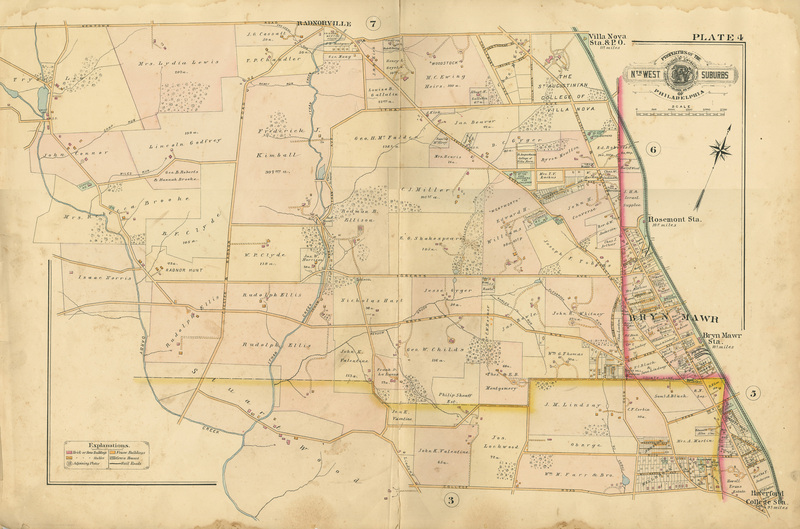 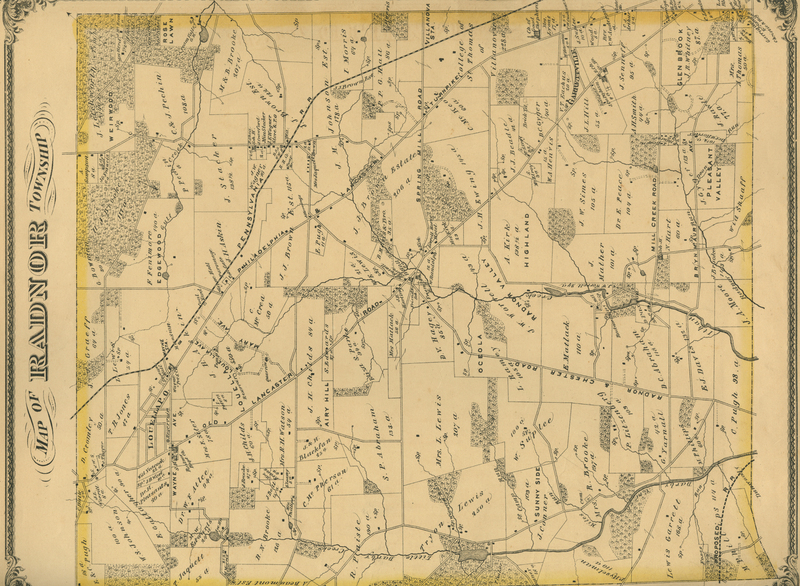 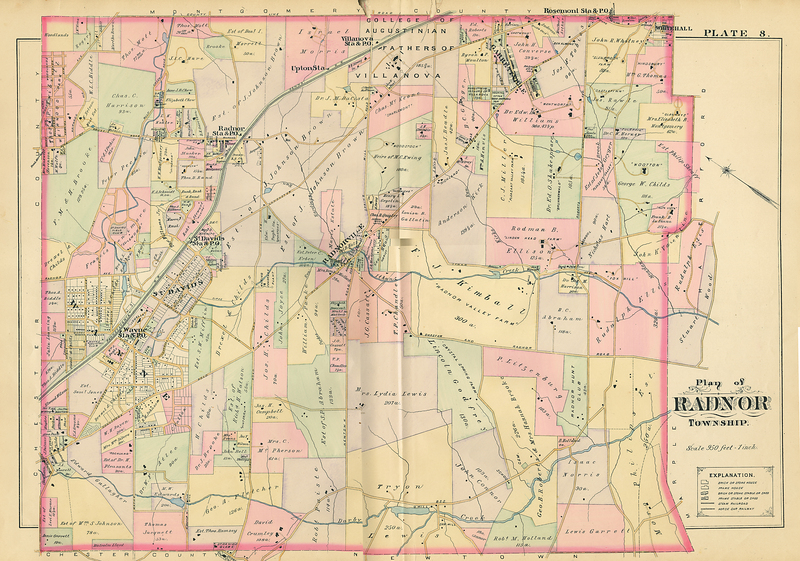 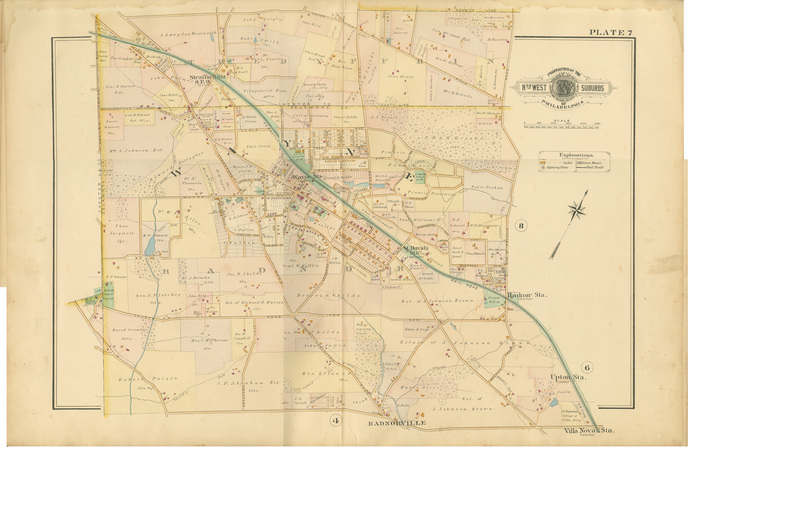 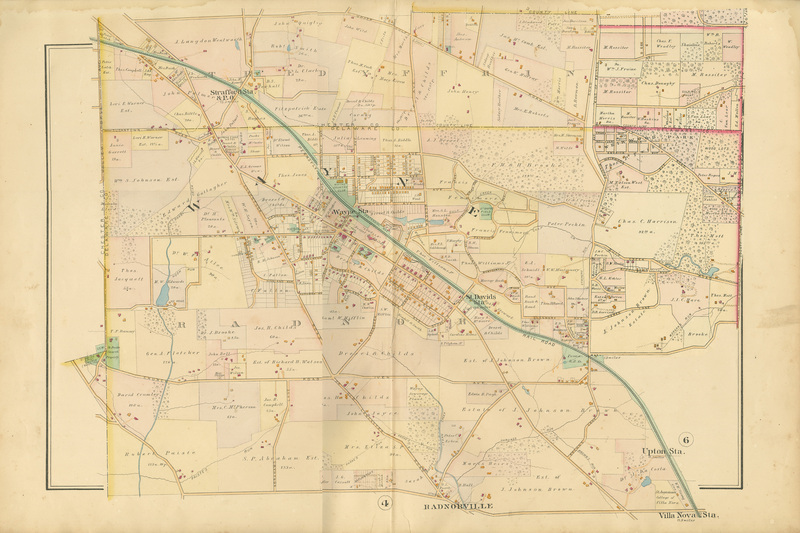 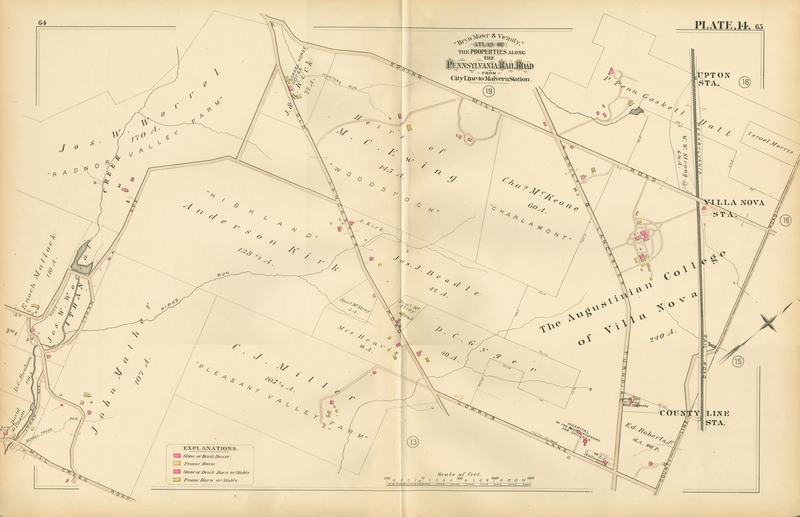 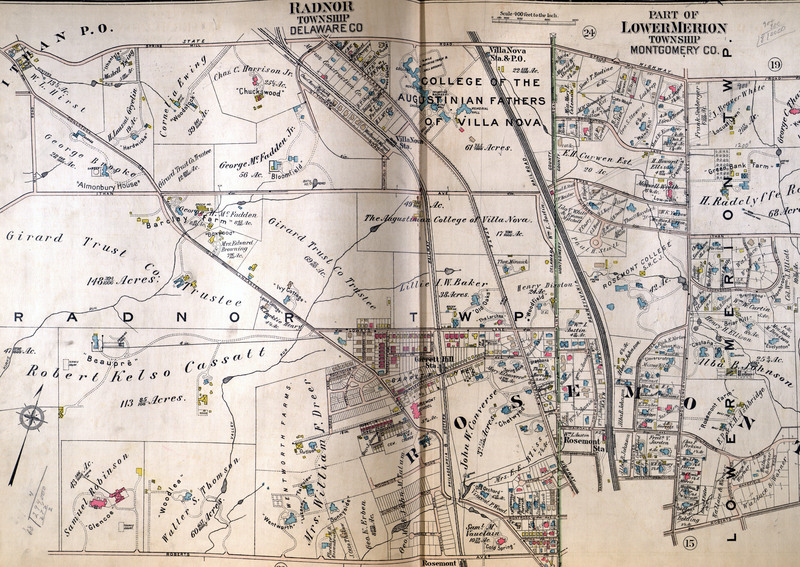 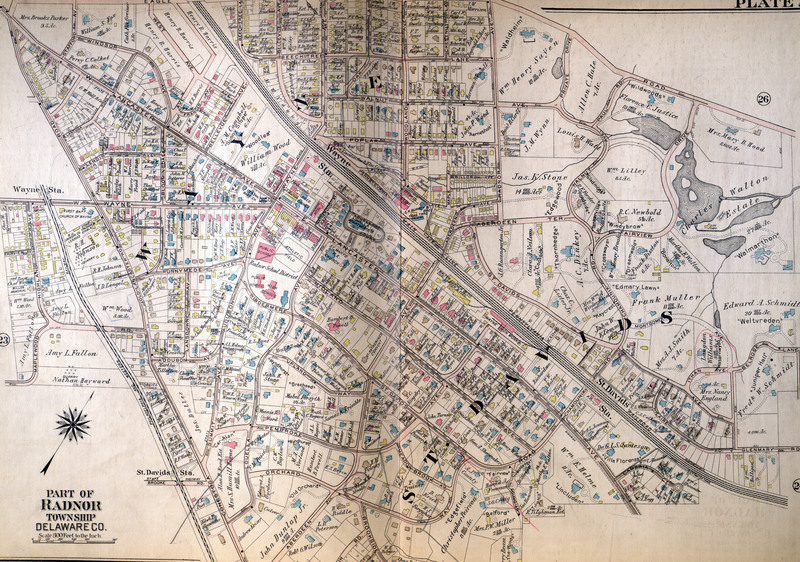 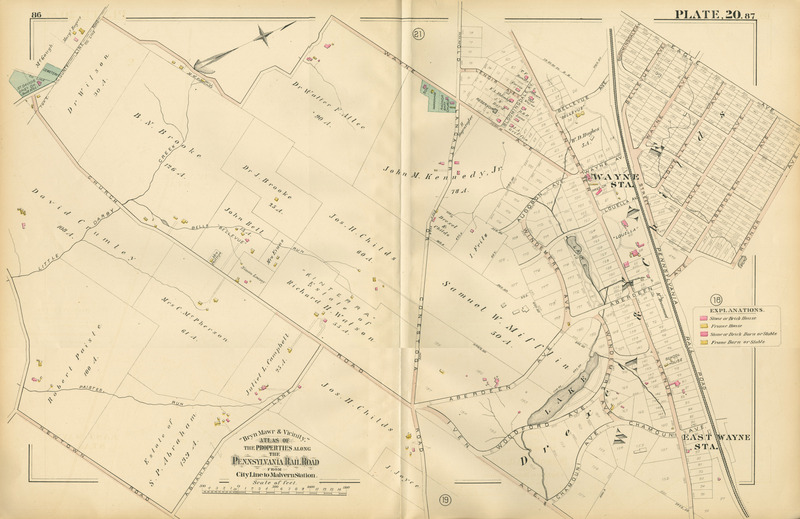 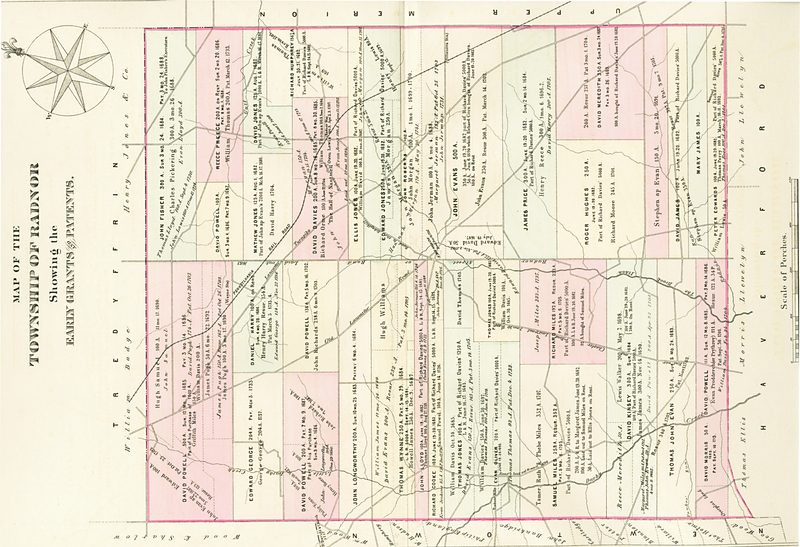 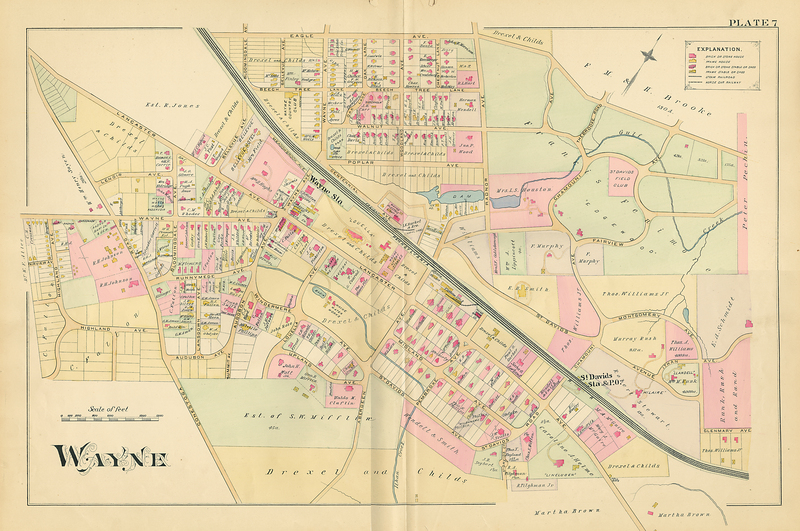 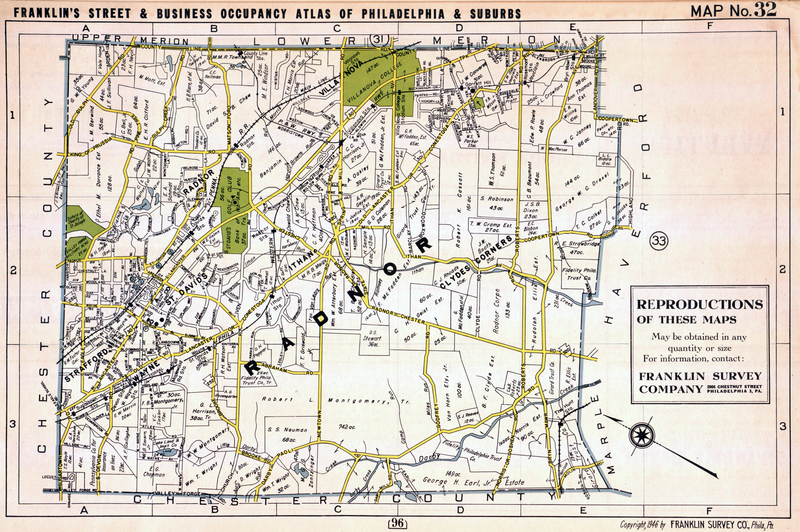 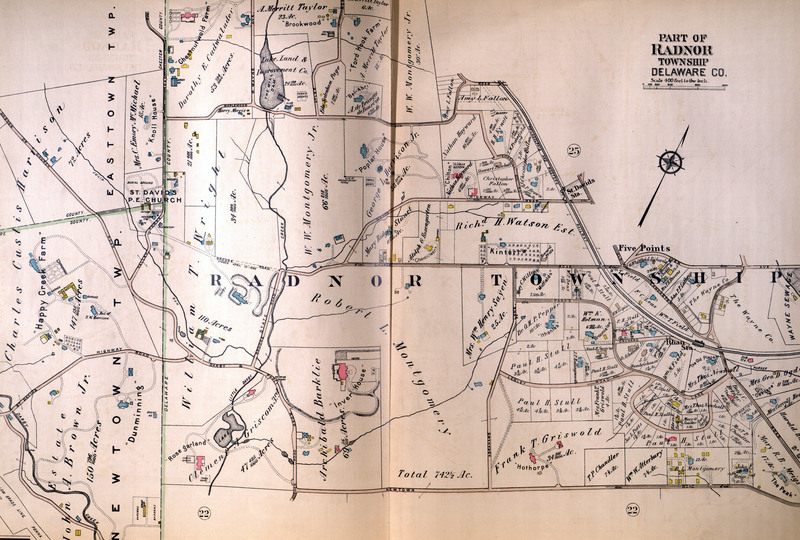 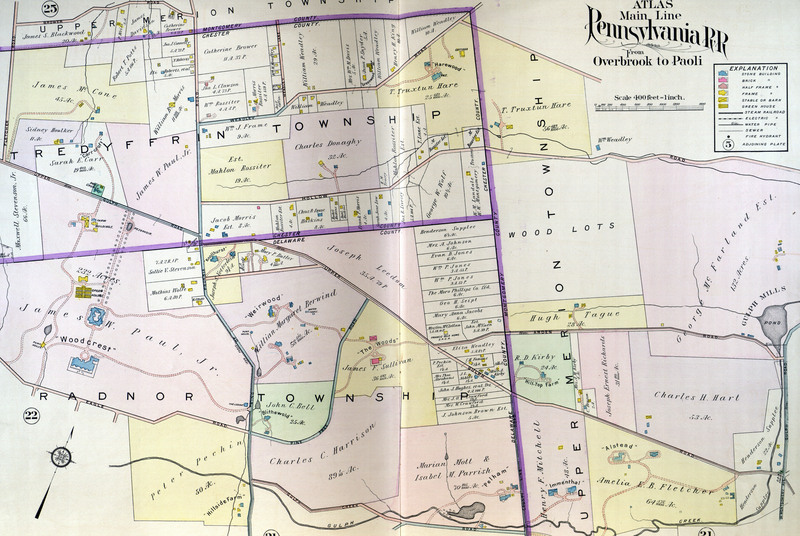 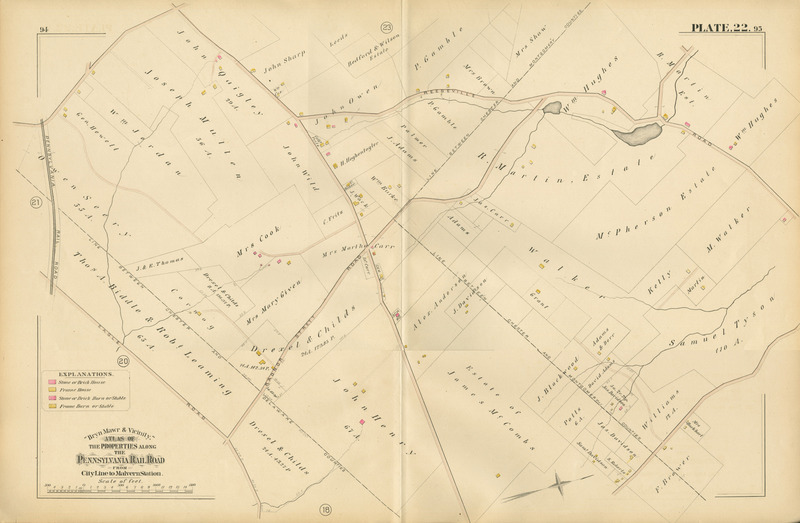 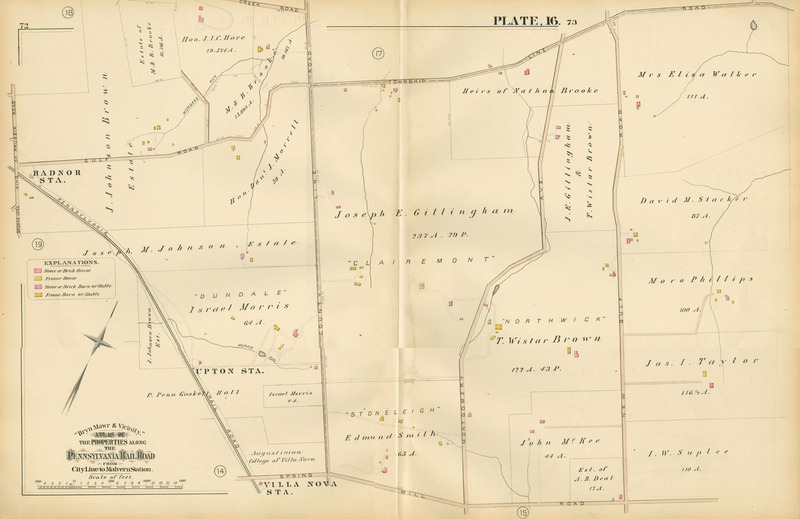 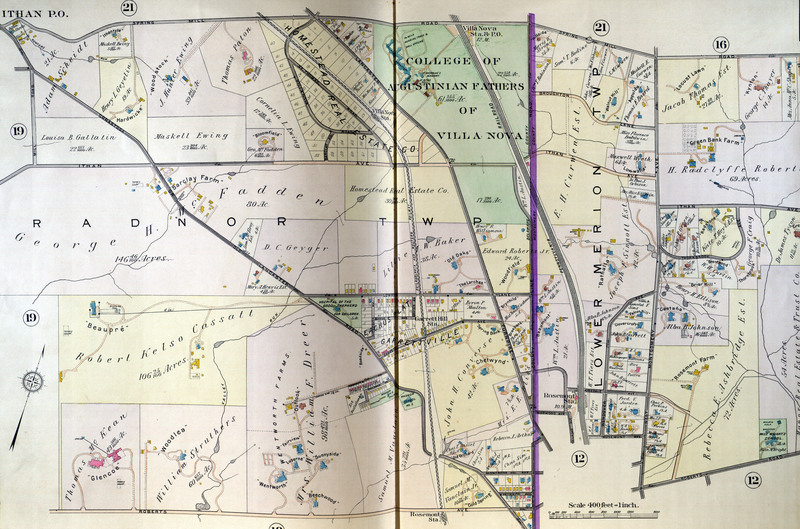 1902 Baist Atlas part of Radnor Twp.